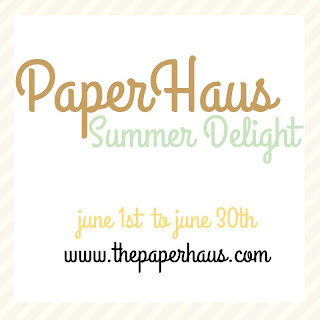 The Summer edition of The Paper Haus Magazine has launched! It's full of beautiful layouts, cards, home decor and mixed media projects. or use the pages for journaling! I hope that you thoroughly enjoy the newest magazine and the blogs of inspiration! Thanks for visiting and being a fan of PaperHaus Magazine! Perfect tag album, it's so cute! Love the colors combination! Thanks for sharing! Very cute album! Thank you for sharing! Amazing colors and fabulous attention to detail! 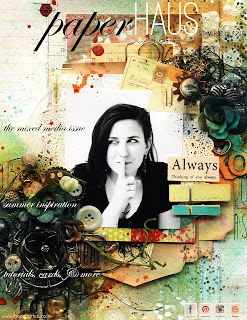 I love this project, this is absolutely my favorite from the whole blog hop! that bird, too cute! I love every detail, the colors, it is awesome! the mini-album is so cute. The pages are embellished so well and there will be space to remember lots of good times as they occur. Another benefit is that you can carry it in your purse and pull it out to show friends and family. Love the idea of using tags for a mini album !! It's adorable. I'm already a follower. Thanks for the chance to win such a lovely prize. Lovely project to hold memories of a special event! This is an adorable mini tag album. I am already a follower. I love this colorful tag mini! So cute! New follower. What a beautiful, colorful album! I look forward to your posts every day and have gotten so many ideas from your blog. Thank you for sharing your talent. Cute mini album! I'm a new follower. I love your mini-journal so much!! The colors, the stitching, the banners, the little birdy on the cover, everything!!! I am a new follower of your blog by email. Thank you for hosting a giveaway!!! This is the sweetest little album ever. I love the colors, patterns and shapes you chose. Great attention to detail. I have followed you via GFC and e-mail. This little album is SO CUTE! All the bright colors and fun embellishments make it special. Another adorable album Shellye!! Loving the front with the little birdie very very much! TFS! I love mini books and this is truly amazing!! This is so beautiful, Shellye! What an adorable tag album! So sweet. Your tag album is awesome!!!! Love it! I follow you through GFC! I am such a loyal and avid follower of your blog(as Taunya Butler) - I absolutely love everything that you do!! Thank you for always inspiring me - this summer tag mini album is no exception - Love it and I am crazy about the way you do stitching on so many of your projects! Thanks for the chance to win - I sure hope you pick me!!! Lovely project. Have become a follower. I've never made a tag album but I like your ideas of what to make and give them for. I love the looks of this one, it's so bright and cheery! Beautiful mini, love the page / tag with the red scalloped banner! I'm a new follower and I love your creations! I really love all the texture and dimension you acheived! Thanks for the inspiration! I'm a follower! just lovely! absolutely love your stuff! SO creative...and inspiring too!